The applications of solar energy are increasing each day with solar products being used not only for commercial and industrial purposes but also for domestic purposes. As opposed to the large solar farms and rooftop panels that can be seen on large scale, solar energy has started to find increased usage even in our humble abode. 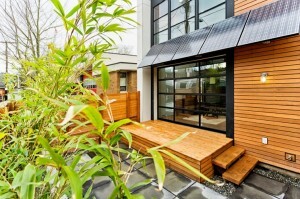 Solar energy is extremely eco-friendly and safe to be used indoors. Solar panels absorb sun’s energy which is then converted into electricity that is used to run these products. While solar lighting systems are the most popular usage of solar power inside our homes, there are numerous other products where solar energy has been proved successful. Given below is a list of solar products that can be safely used in Homes for Domestic Purposes. 1) Solar Lights/ Lamps/ Lanterns include solar lights, lamps, garden lights etc. Solar lights can run using sunlight during the day time. Any excess solar energy can be stored in batteries to be used during evenings and nights. Solar lamps may work for 5-10 hours a day depending on the LED Light capacity, size of the battery etc. Solar Lights are an easy way to cut electricity bills and also offer an alternative to the ill effects of kerosene lights in villages. These are being promoted in India given the frequent power failure and heavy reliance on kerosene oil lamps especially in the rural areas. The solar lights/ lamps have proved to be extremely useful in villages without grid connection and have also helped in improving the health and eyesight of poor children. In modern day cities too, these lamps have proven to be very useful especially during power outages. 2) Solar Cooler/ Fans can provide savings up to 30% on costs. 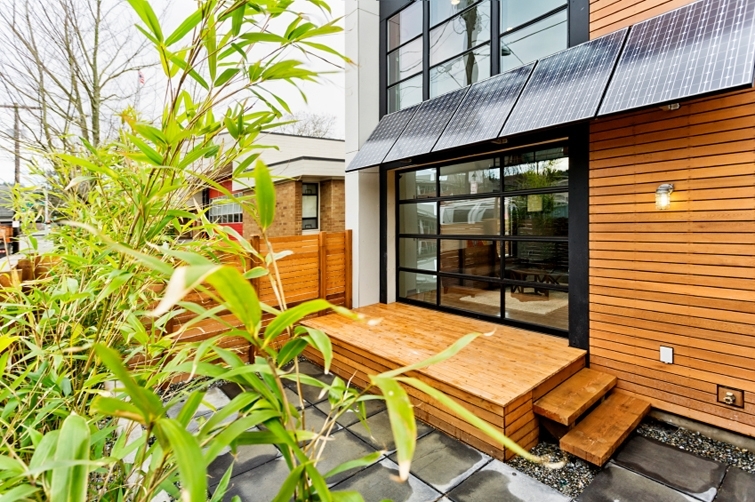 Powered by solar panels, the installation may be higher initially, but is cheaper in the long run as it does not use power from the utility grid. Elegantly designed and easy to install, these solar powered fans are typically 48? ceiling fans, though table fans are also available. They have a five speed DC regulator to control the running speed and can effectively run for almost 10-12 hours a day. 3) Solar Mobile Chargers have been extremely popular especially as mobile phones have become a modern day necessity. Solar mobile chargers can be very useful in rural areas without electricity and can be used by people in cities to reduce their electricity costs. These solar powered mobile chargers can charge your mobile phones, tablets, laptops, GPS and other digital devices. You can buy one with a charging capacity between 1250mAH to 30000mAH, in the price range between $13 and $35. Buy one and start saving power. 4) Solar Swimming Pools offer an excellent way to use these pools all-round the year. Solar pool heating systems have a lifespan of up to 20 to 30 years. Solar panels are being used to bring these pools to a desired temperature. Solar swimming pool heating technologies first appeared in the 1970’s and today’s solar pool heating systems are super-effective and very reliable. 5) Solar Mosquito Trap is yet another technological breakthrough in solar applications. These traps have helped reduce malaria victims by 30% already, in houses which had them. 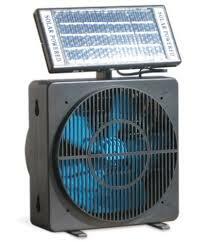 The mosquito trap needs to be mounted outside the house and works on the power generated by the solar panels on the rooftop. At night the power stored in the batteries can be used to operate the trap. When the mosquitoes are in close vicinity of this trap, they are sucked in by the inbuilt fan. 6) Solar Garden Fountain is an innovative way to use the free solar power and a gift for nature lovers. 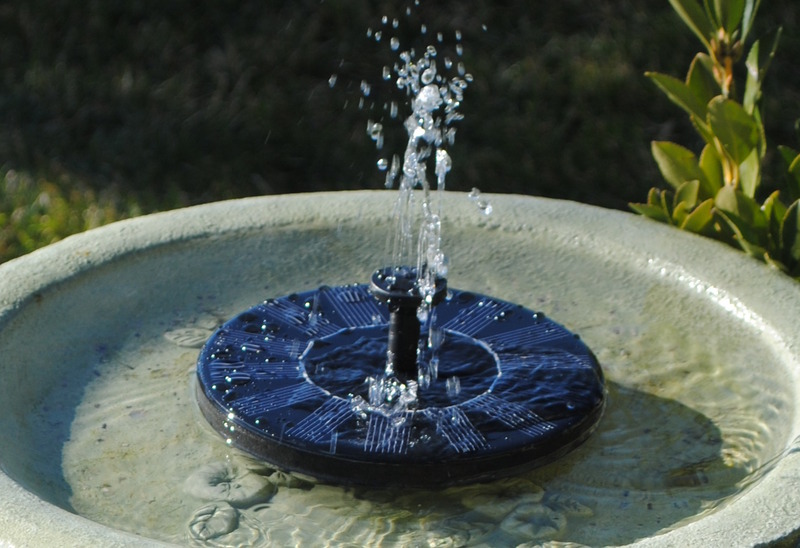 The fountain has a little solar panel inbuilt in its structure which absorbs the sun’s light to power the fountain. A solar panel is used to power the running of this landscaping and you can team it with a solar garden light to further add to the beauty. 7) Solar Toys are a good way to cut on the cost of batteries that are used to run these toys. These toys have an inbuilt solar panel which when put in the sun gets charged. They come in attractive shapes and colors to lure your child. Not only are they safe and environment friendly, but also cheap and affordable. Some of them are quite educational and perfect for school children. 8) Solar Bags are an easy and convenient way to commute since they are comfortable to wear while on a ride. It is also a good way to fight rising levels of pollution in the Indian cities and is also a good way to exercise. 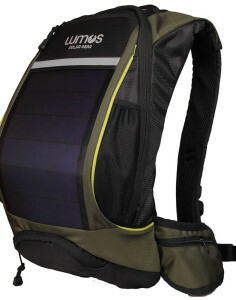 These bags are fitted with solar panels and come with either an in-built 4000 mAh battery or as an unplug solar backpack. The price ranges between INR 4500-5500. 9) Solar Watches are probably one of the oldest consumer applications of solar power. Priced in the $50-100 range, most solar powered watches in the market are sold by Seiko and Citizen. The advantage of solar powered watches is that they do not require batteries. Solar watches have become very reliable these days. Today’s solar powered watches use high efficiency solar panels to capture power and store in high capacity miniature batteries which means that these watches can run for days without being exposed to sunlight. Search by Tags:: Can solar Products be used in Homes?, Can solar products save on electric bills?, How does a solar bag function?, How does solar fan work?, How does solar light work?, What are the domestic applications of solar energy?, What are the top Solar Consumer products?, What is a solar garden fountain?, What is a solar mosquito trap?, Which home products can run on solar power?